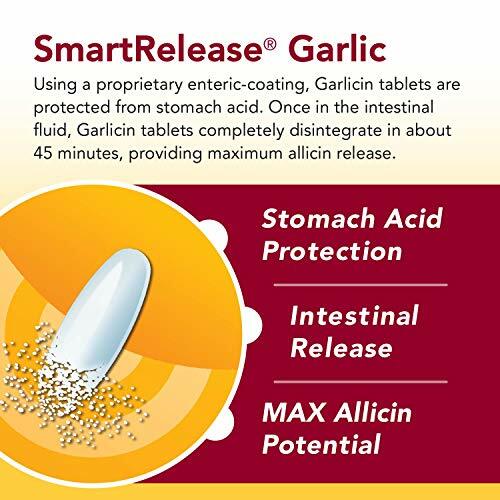 SmartRelease enteric-coating tablets survive stomach acid and disintegrate in the intestine. 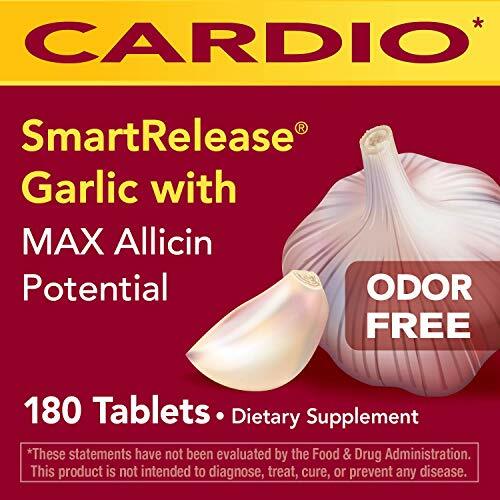 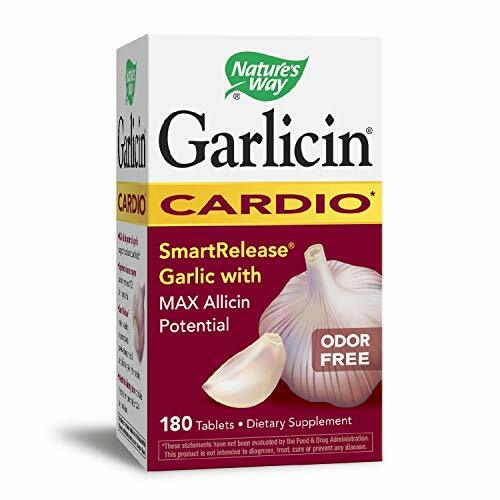 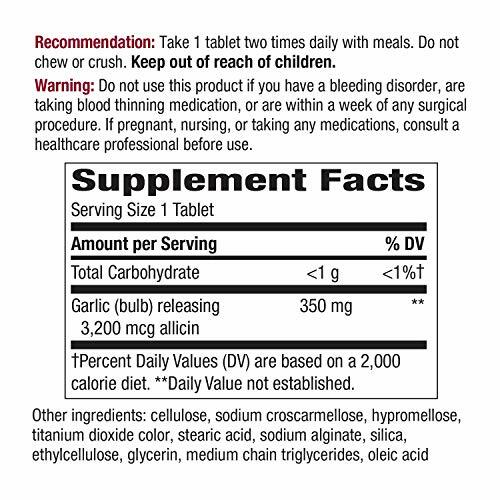 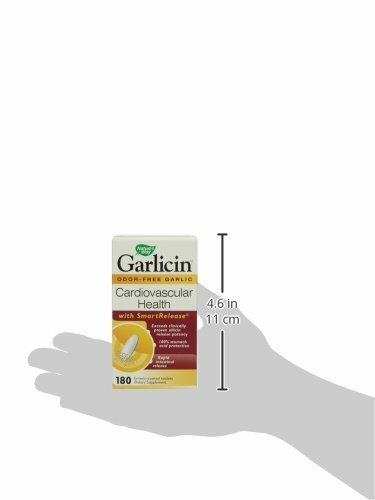 Nature’s Way – Garlicin is made from high quality, alliinase-rich garlic powder. 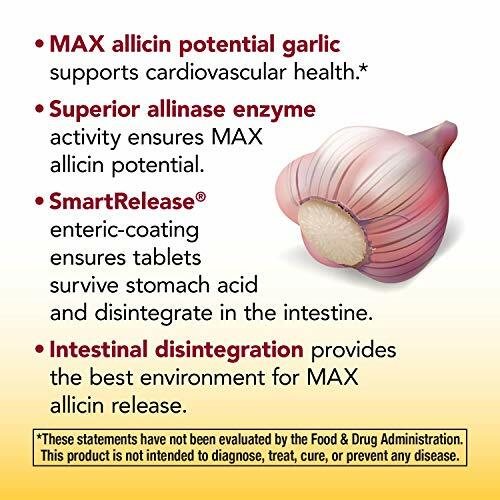 Using the SmartRelease tableting and enteric-coating technology exclusively developed by Nature’s Way, Garlicin is guaranteed to have 100% stomach acid protection and rapid disintegration in the intestines.